When people think of Portugal, rarely do they think of its rich honey culture. Perfectly grilled fish, sumptuous breads and diverse wines are commonly touted as “must try Portuguese foods“, but honey never gets any play. It should, because Portuguese honey is not only delectable but is used in heaps of local cuisine. Therefore, to celebrate Portuguese honey, we’ve asked a local beekeeper from Santarém to share his insight on what makes Portuguese honey some of the best in the world! Thank you Henrique Abreu for taking the time to share your passion with us! 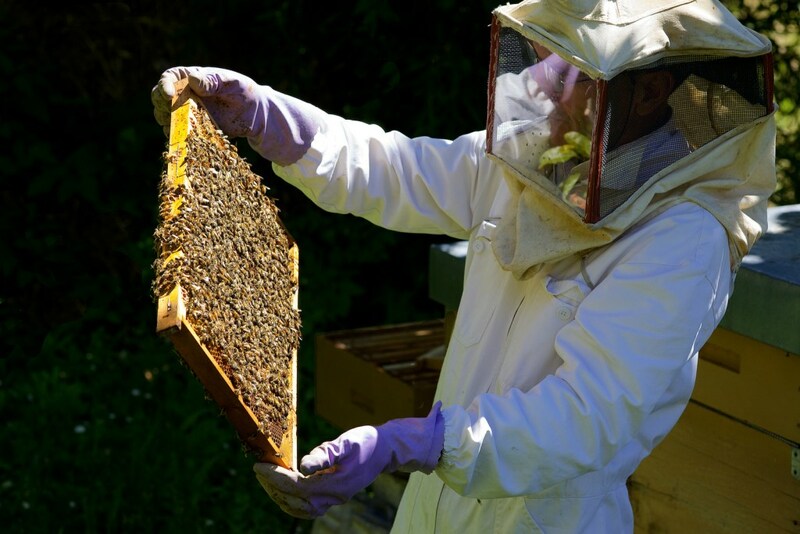 Why is beekeeping such a passion for you? The term “passion” goes considerably deeper than just a love for bees. Not long ago, beekeeping became a less than appealing vocation that harkened back to a sterile, old-school tradition that your great-grandfather would do. Today, things have changed. But if it weren’t for my own growth and maturity as a person, I don’t know if I’d have seen it. I’m very pleased to say that through various support structures, there’s now an increasing interconnectedness between experienced beekeepers and newbies showing curiosity, perseverance, self-confidence, creativity, enthusiasm, and most importantly, respect for nature and the human being. Are there geographically protected areas for honey? And if so, where are those areas and what makes one different from another? The National Beekeeping Programme 2014-2016 (Programa Apícola Nacional) refers to approximately 15 controlled areas where beekeeping is managed by different associations and / or institutions that guarantee support and oversight for beekeeping – though this will never replace simple hand’s on (HANDS-ON .. no ‘) experience. The current DOP regulated honey regions include: Serra da Lousã, Serra de Monchique, Terra Quente, Terras Altas do Minho, Barroso, Alentejo, Parque de Montesinho, Ribatejo Norte and Açores. And like Portuguese wine, each designated region – differentiated by its climatic, geographic and floral variations – will determine its structural and organisational needs. Even though Portugal is a small country, its biodiversity is absolutely remarkable, varying dramatically from one region to the next. Hence, it lends itself to incredibly diverse and quality driven products such as O Mel de Incenso dos Açores (Açoran Incense Honey). What makes Portuguese honey different from any other honey in the world? How do you know you’re choosing a good honey? What does someone look for? Assuming the information on the label is straightforward, transparent and easily understandable to the consumer, the honey must also abide by quality standards implemented both nationally and globally. On a very practical level, you’re looking for a crystallised honey that won’t dissolve in cold temperatures, nor retain residual moisture. It will be aromatic and rich in simple sugars. What are the best practices in storing honey? Obviously, there is a huge issue with the decline of bees on the planet. What are you, or Portugal in general, doing to help preserve the bee’s wellbeing? Honey is used in heaps of Portuguese cuisine. What are your favorite Portuguese recipes that use honey? 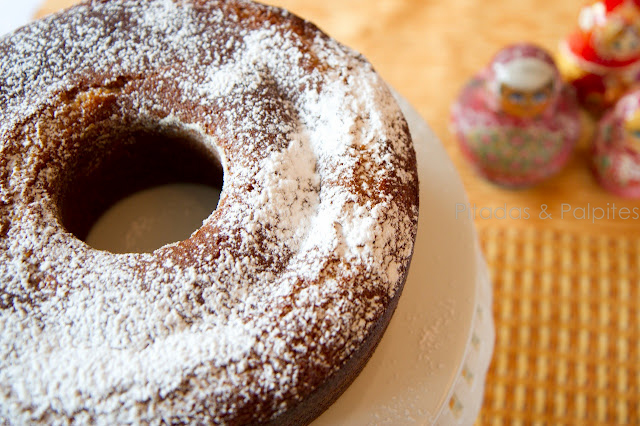 Hands down, one of our favourite recipes is honey with granola, honey liquor, mead and honey tea that we commonly enjoy with with various Portuguese desserts such as: bolo de mel (honey cake), bolo à portuguesa (flour cake glazed with eggs and Port wine), bolo de azeite e mel (honey and olive oil cake) and broa (cornbread). 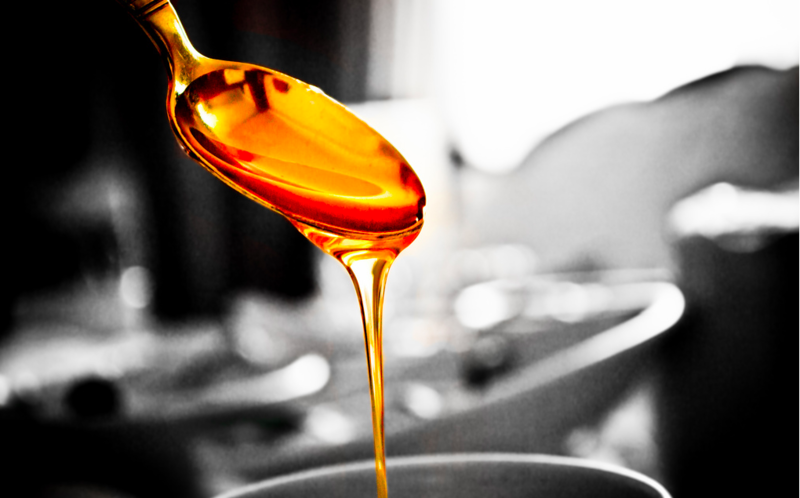 Many Portuguese sauces also use honey to lightly sweeten the dish. Hopefully in the future, we’ll see a surge of Portuguese honey used in modern and haute gastronomy. Pollen has been claimed to ease many medical issues. Where have you seen the greatest benefits in its use in Portugal? 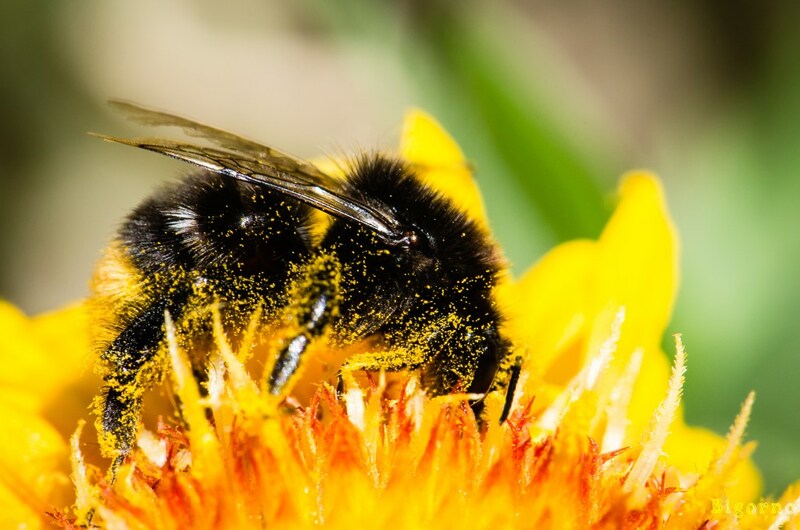 Pollen has often been used for physical and mental fatigue, anemia, blocked digestion, weak immune systems, cardiovascular problems and infertility. Editor’s note – It’s not just pollen in Portugal. Ask any Portuguese grandmother and they’re quick to confess the 1,001 ways honey can cure an ailment. Finally, experiential tourism is a big deal. Can someone visit you and learn how to make honey? Of course, yes! We would love to receive you in our little village of Torres Novas! It’s beautiful, with plenty of cultural and historical points of interest to visit during your stay. Just contact us well in advance so that we can get as many people together as possible to organize the necessary logistics. Never forget: Portugal may be small, but we have a wealth of diversity! No matter where you go, there’s no shortage of things to enjoy, most of all, the people! Thank you Henrique!!! And for anyone keen to pick up some honey on your travels, feel free to swing by any supermarket for a decent range of Portuguese honeys. For those wanting a more tailored experience, check out the Pérola do Bolhão, Mercearia do Bolhão or Casa Chinesa in Porto. In Lisbon, swing by Mercearia Criativa or Pimenta Rosa for your sweet honey needs! If you’re keen to experience artisan Portuguese honey on its own, or in a wealth of Portuguese sauces and desserts, contact us for a customized food tour! We’re more than happy to help guide you to the very best Portugal has to offer, which is extensive! !